An impressive apron and delicate cabriole legs combine in our Adelia Queen Anne Table, which is perfect for your formal dining room in solid Cherry. Elegant yet simple, your Adelia Queen Anne Table is the perfect dining room table for those who entertain frequently. 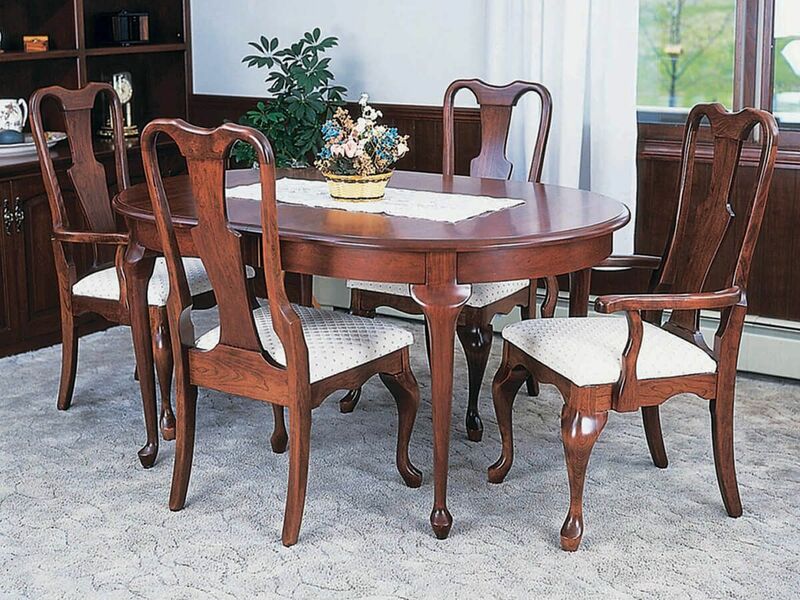 This oval hardwood table is available in four sizes with the ability to add up to five 12" extension leaves. Every handmade Adelia Queen Anne Table is available in nine domestic wood species. Choose your hardwood and stain and our Amish artisans will build your Queen Anne dinner table to order. Reinforced attachments and a coating of catalyzed conversion varnish ensure your luxurious dining table will be in your family for generations. **Leaves not included in base dimensions. Each leaf adds 12".